A building fire in Stockbridge resulted in a road closure as firefighters tackled the blaze. A fire broke out in an outbuilding between Lancers Restaurant on Hamilton Place and a set of public toilets this morning. Police Scotland were alerted at 5:49am. Three fire appliances were tackling the blaze but have now left the scene. Hamilton Place remains closed and leading to wider traffic and transport issues in Stockbridge. 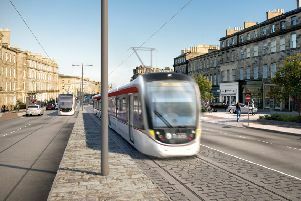 Lothians Buses’ 36 service was affected by the road closure, with a diversion in place via Circus Place, Great King Street and Dundas Street in both directions. Hamilton Place has now be re-opened.